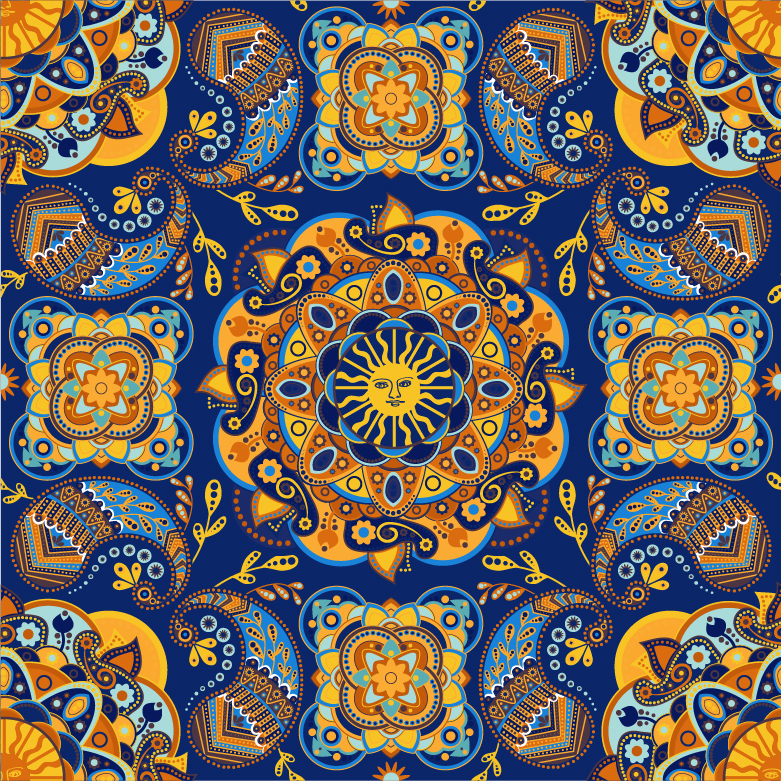 Use Centerlife Mandalas for a More Blissful Life! Use the power of Centerlife Mandalas to uplift and enhance your life! 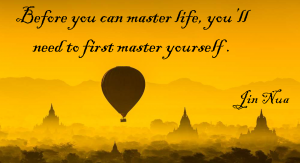 Begin Your Centerlife Journey Today! The cornerstone of Centerlife is Seven Pillars, a life practice based on nature’s harmony-generating wisdom. Use each of the Seven Pillars to strengthen and enhance the prime centers of your life and thereby improve and uplift your overall life. …I am grateful that subatomic particles somehow came into existence out of nowhere. …I am grateful that subatomic particles are perfectly configured such that they’re able to combine and form into nucleons and electrons. …I am grateful that nucleons and electrons were somehow flawlessly arranged such that they could join to form the basic atoms of Hydrogen and Helium. …I am grateful for the nuclear fusion reaction at the center of suns which transforms Hydrogen and Helium atoms into ever heavier atoms. …I am grateful for atoms mingling in innumerable combinations to produce molecules. …I am grateful for molecules which combine in beneficial and gregarious combinations to form macromolecules. …I am grateful macromolecules further combine into amino acids and subsequently, into DNA and proteins. …I am grateful for how all of the above magic-like miracles combine into the incredible machinery that are cells. …I am grateful cells combine into tissues, then organs, then organ systems, and then entire organisms such as you and me. 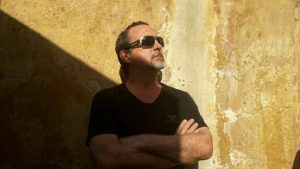 …I am grateful for the highly improbable conscious thought residing in my mind. It granting me the miracle of looking back on and marveling over the universe that brought it into being. …I am grateful for every moment of every day; for the innumerable layers, intricacies, interrelations, and dimensions needed to make life possible. …I am grateful I can recognize my place in the jigsaw puzzle of being. 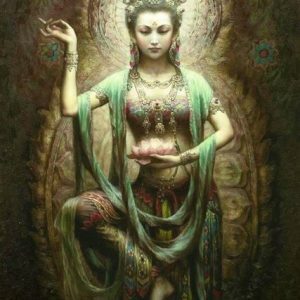 That I am but a miniscule yet mighty part of much larger things operating within me and outside me. …I am grateful to recognize and live the above. To witness and experience it. To articulate it and share it. 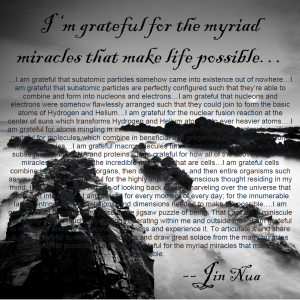 …I am grateful to recognize the divine and draw great solace from the many miracles that make life possible. I am indeed grateful for the myriad miracles that make life possible. Although society places a large premium on high tech gadgets over art, I firmly believe art remains the highest form of human expression. Viewing one Van Gogh is all I need to remind myself of this. Thus, it was refreshing to find this belief actually supported by hard economic facts! You see, when we compare the ‘cost to weight’ ratio of art versus high-tech devices, art is the clear winner! Thus I encourage you to begin considering art in its rightful place—as the greatest form of human expression. You should get closer to it in its prime expressions as music, philosophy, and painting by making the time to do so. You’ll be glad you did! 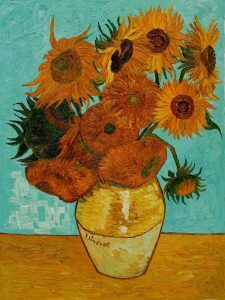 Art is still the most valuable output of our species—not only in terms of value but in its crystallization the near infinite power of imagination! Happy Mothers Day to all moms—past, present, and future! Thanks for being patient, sharing, accepting, loving, and for being supportive. Thanks for sharing all of life’s pleasures unselfishly and abundantly—food, children, home, beauty, fashion, and grace. Thanks for being the center of society—for being the glue that holds families and society together. Thanks for defining what’s important, real, and right. Thanks for guiding my lost species (i.e. men) from cradle to grave. Without you to guide them, they would surely destroy one another and the planet. Here’s to mom’s today and every day! 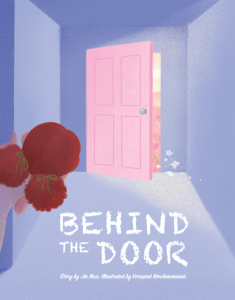 I’m pleased to announce the completion of my 3rd children’s book entitled Behind the Door! Behind the Door shows kid’s how to build courage when faced with new challenges. Set to the backdrop of learning to ride a bicycle, Behind the Door shows how new experiences, while challenging always lead to something fun and lead to a great next opportunity. The images in Behind the Door are truly phenomenal—my illustrator (Donut) is highly complimented for capturing the idea of the book and amplifying it with his rich imagination. Enjoy a complimentary copy at this link. It is a 43 MB file so expect some time to download it. You can view excerpts of my other kids books (Raindrops and A Walk on the Beach) at this link. 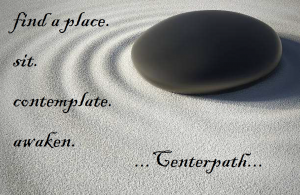 As Centerpath teaches, an essential function of centers is to unite hosts of ‘things’ into larger, cohesive organizations. This phenomenon is especially evident in large-scale human groupings where a single, central symbol can serve to unite 100’s of millions of people. 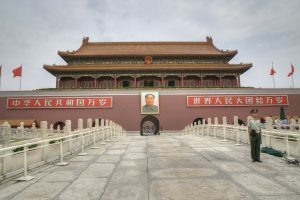 Nowhere is this more apparent than at the entrance to the Forbidden City at the heart of Beijing where a huge portrait of Mao resides (see image below). While standing there viewing the portrait, you can almost feel the hearts of 1.4 billion people come together as one—united in the shared image of their iconic leader at the core of their collective psyche. A powerful experience made even more meaningful, through a basic knowledge of Centerpath! If you want to learn more about how centers unite all sorts of things (including flocks, families, teams, corporations, armies, nations, and your life) you’ll need to spend some time with Centerpath. 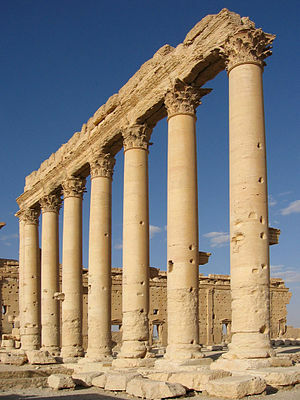 Check out my blog to find how to get started at: http://jinnuablog.com/index.php/a-jin-welcome/the-essentials/. Learn how thru recognizing nature’s centers, you can reconnect with your true self…and possibly obtain higher awareness.